Ivy Coach salutes Cornell University, Dartmouth College, and Columbia University for their outstanding track record of supporting our troops. It is to be commended. Cornell University, we salute you! The Post 9/11 G.I. Bill offers only a certain amount of money towards annual tuition ($19,200 for private universities and $8,900 for public universities). Cornell covers the remainder of the tuition (making them “Yellow Ribbon”). They welcome these brave men and women into their schools as though they are any other students pursuing college degrees. And that’s exactly how it should be. Cornell University has earned an ‘A’ in our book. They’d get an ‘A+’ if they didn’t have a cap of 100 veterans whom they can have on campus at a time under the “Yellow Ribbon Program,” a cap that also includes dependents (not just the troops themselves). Dartmouth College, we salute you! It’s all love from us for this fellow “Yellow Ribbon” university. With respect to veterans, you are the crown jewel of the Ivy League. Dartmouth College supports our troops and may the world know it. Dartmouth College covers the full cost of tuition that is beyond the funds from the Post 9/11 G.I. Bill. And they have no cap on the number of veterans they admit each admissions cycle. Dartmouth doesn’t have to do the right thing. But Dartmouth chooses to. Dartmouth College has earned an ‘A+’ in our book. Other Ivy League colleges may say they support our troops but Dartmouth speaks softly with one very big stick. And Columbia University, we salute you, too! You may not cover the full cost of tuition, contributing $8,000 annually per student. But maybe it’s because you admit so many vets! And you admit all of these vets through your General Studies Program. This way, their numbers don’t hurt your “US News & World Report” ranking. It’s a creative workaround and we salute you for this workaround because it means more veterans studying on your campus. For this, we’ll give you an ‘A.’ Columbia, you deserve it. But that’s just about where the love fest ends. 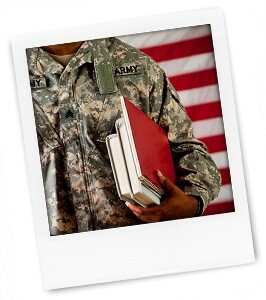 Check back soon to find out what we have to say about the remaining Ivies’ admissions policies towards our troops. It won’t be all puppy dogs and ice cream. And, veterans, this is a terrific tool to use to measure a university’s “Yellow Ribbon” contributions against another. Just to clear things up about the yellow ribbon program. When a school offers, say $8,000, in yellow ribbon benefits those benefits are then matched by the VA so the total yellow ribbon” benefits comes to $16,000 (for this example). This amount, of course, is in addition to the standard $19,000 plus. though Cornell puts a cap of 100 awards they are actually far fewer (only about 40 -50 last year) who actually use it. So there are still many spots available.